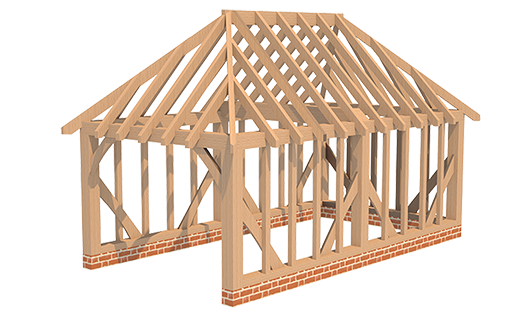 Greenacre Oak Frames specialise in producing traditional Oak framed garages and Oak Framed garden building kits. 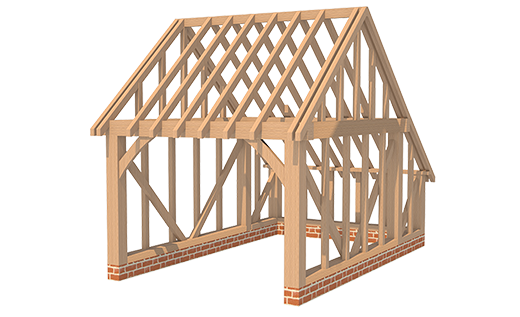 All of our Oak frames are made from 100% hand selected European Oak and unlike most of the Oak framed garages and garden buildings available on the market today, ours use no softwood components whatsoever. 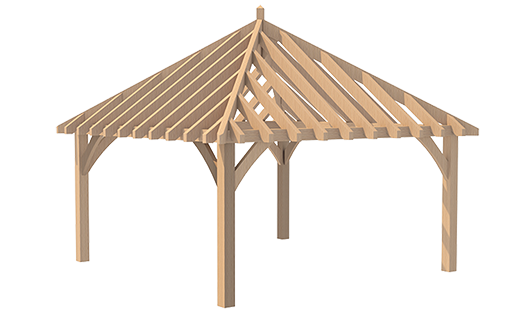 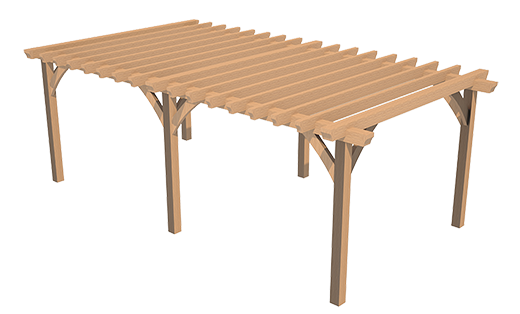 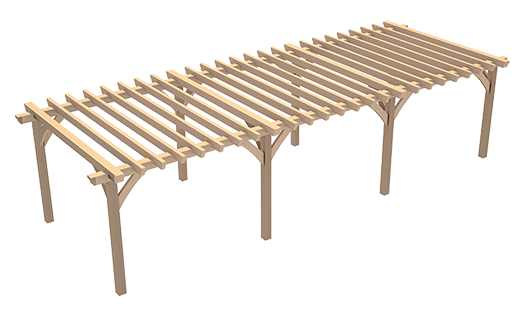 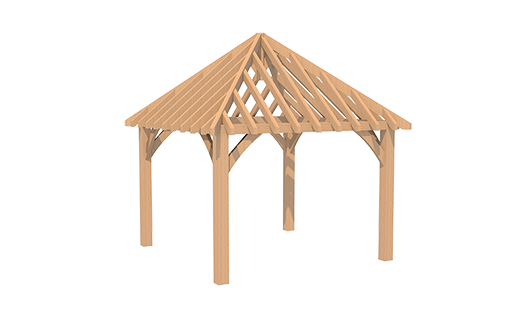 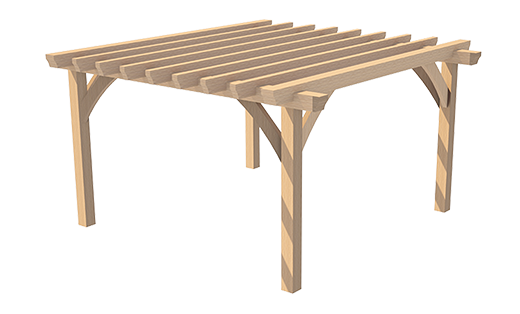 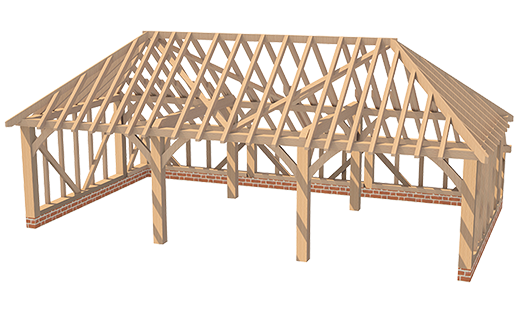 We use only the finest quality oak components and pride ourselves on being able to offer some of the chunkiest Oak posts, rafters and studs available in the industry, giving every one of our Oak framed structures a very substantial yet beautiful look across our product range. 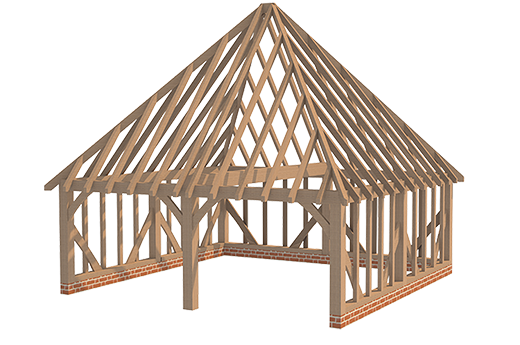 We use Mortice and Tenon joints throughout as has been common practise for thousands of years ensuing maximum stability and strength in every Greenacre Oak frame structure. 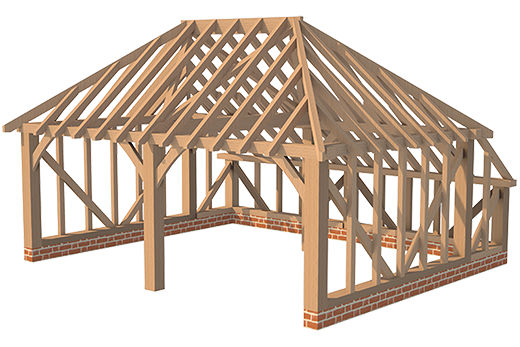 Although what we offer is a 'self build' kit, we endeavour to work with you throughout the process and can offer a wide range of services to assist you through every step. 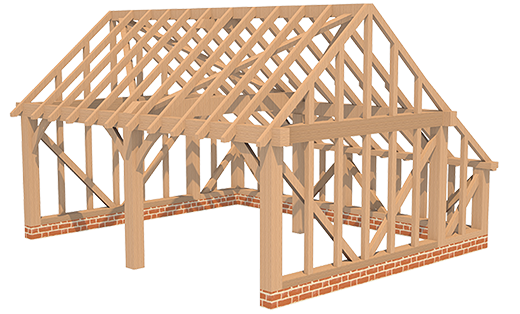 This includes design advice, planning, regulations advice, finishing specifications, construction advice and after sales support. 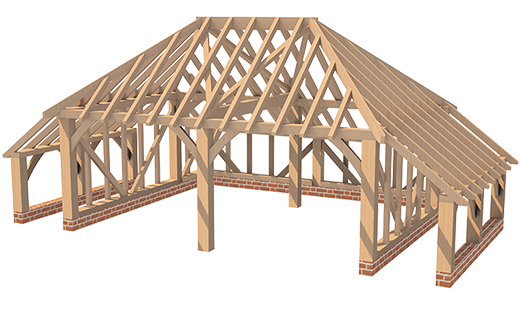 If you place an order with us you will receive a full set of drawings and a designated Oak specialist to advise you on every step of the process to ensure your requirements are met and that you fully understand what is entailed. 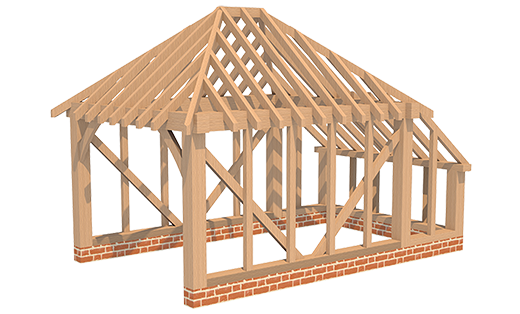 Planning information on your selected building and whether it requires planning permission or if it falls under permitted development, however it is always advised by us to check with your local authority first to be 100% sure, we will offer guidance, but helpful information to get started can be found on the following website www.planningportal.gov.uk. 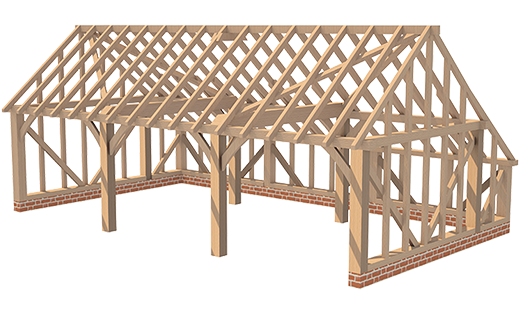 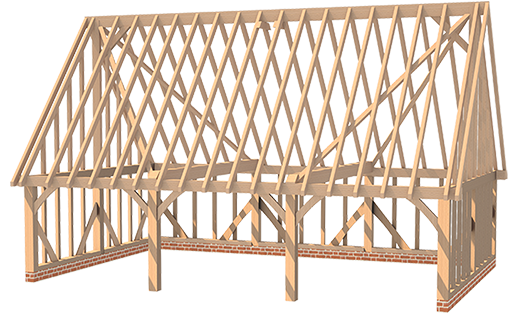 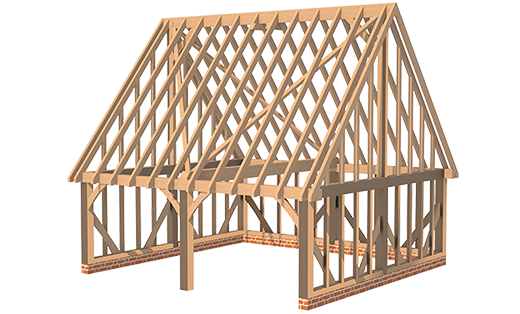 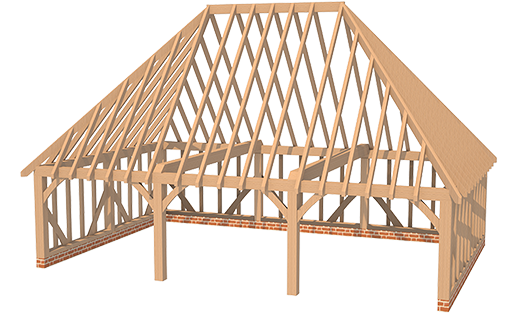 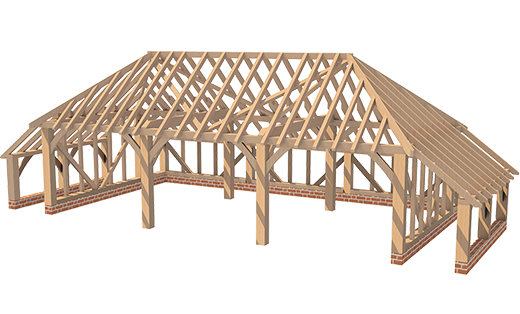 Full working drawings for your selected Oak framed structure including dimensions, elevations and floor plans are available on this website. 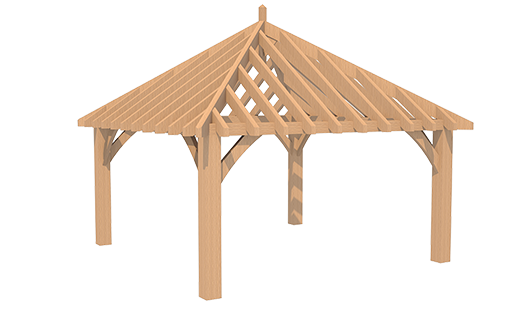 Upon placement of an order you will receive all of the details you will require to erect the Oak frame. 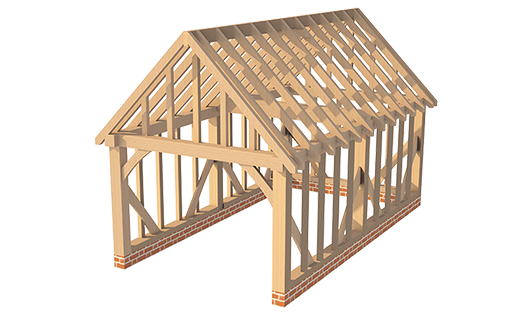 To begin manufacturing your Oak frame we require a 50% deposit. 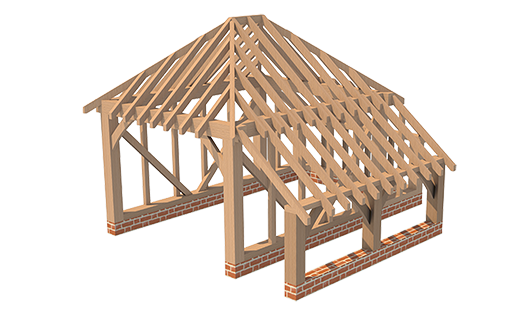 Upon receipt of your payment delivery will take 2-3 weeks, a delivery charge may apply depending on your location.